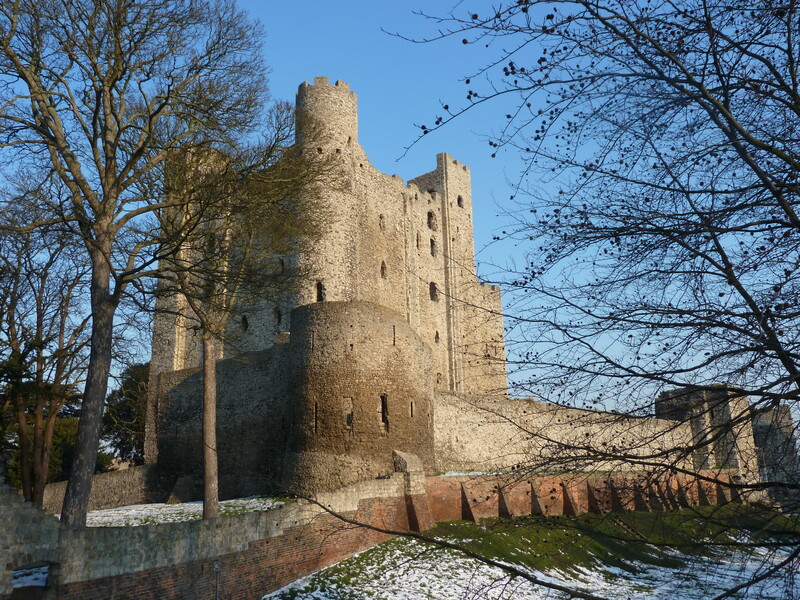 My home county of Kent has long worn the accolade of the “Garden of England” lightly but it also boasts an enviable heritage, including many fine castles. Below are photographs and brief descriptions of some of the most celebrated. 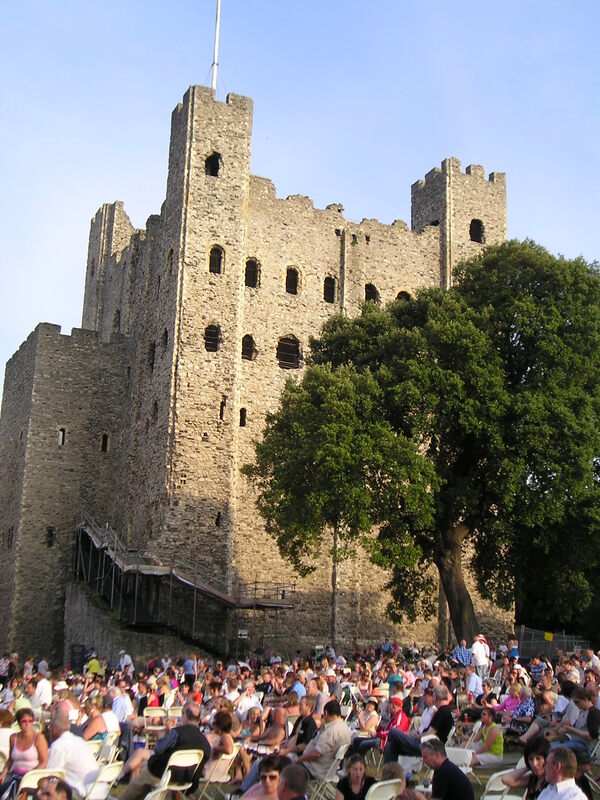 There is only place to start – with the great twelfth century Norman keep in my home town of Rochester, beloved of Charles Dickens. 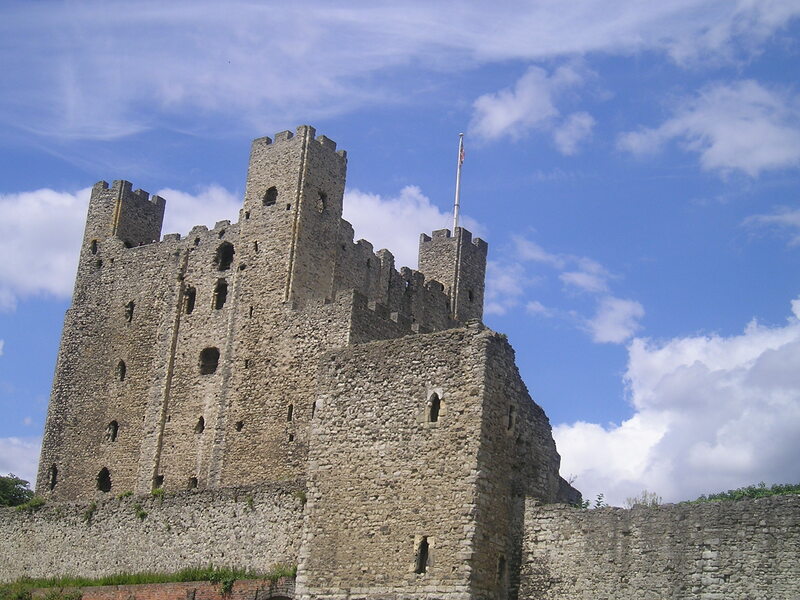 Standing on the east bank of the River Medway, it was besieged four times during its first three hundred years, but has survived, if much changed and as a magnificent ruin, ever since. Open to the public all year round, its pigeon poop encrusted turrets offer outstanding views of the river and beyond. 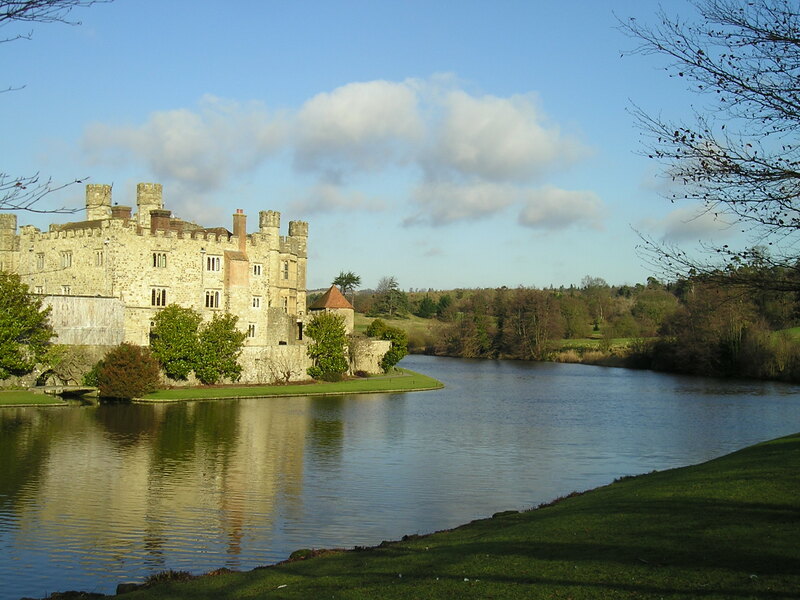 Romantic Leeds Castle, described by the historian Lord Conway as the “loveliest castle in the world”, is approaching its nine hundreth anniversary, though the modern structure dates largely from the nineteenth century. More than half a million people visited the castle and its maze, aviary, grotto and golf course in 2010. As the third picture illustrates, all the public rooms are beautifully decorated for Christmas. 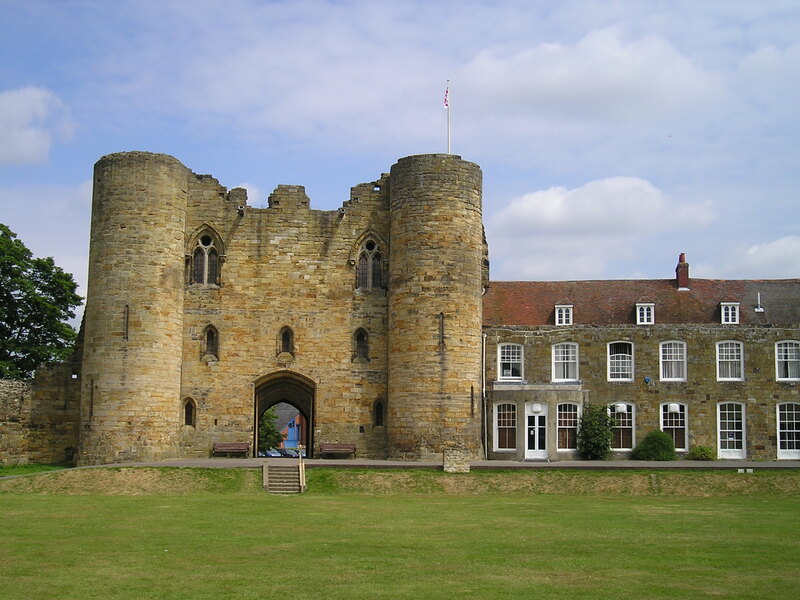 Tonbridge Castle, with its magnificent twin towered gatehouse, is another product of the Norman invasion, and whilst it might not attract the volume of visitors enjoyed by Leeds, it occupies a prominent position alongside the River Medway towards the northern end of the high street, and locals and tourists alike enjoy the attached public park . 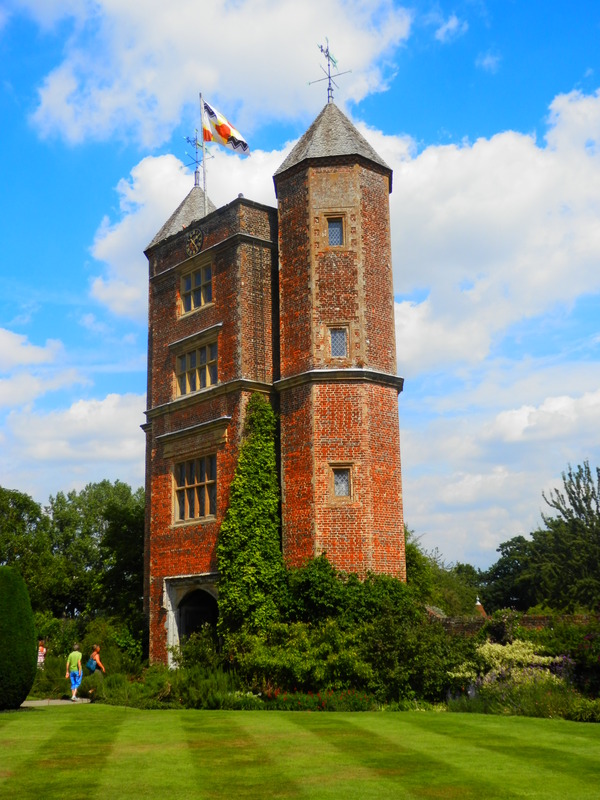 The principal attractions of Sissinghurst Castle are the stunning gardens created by novelist Vita Sackville-West and her husband, Harold Nicolson, in the nineteen thirties. The adjoining buildings may not resemble everyone’s idea of the traditional castle (it was originally a mansion set within a working farm), but, along with the imposing prospect tower, the beautiful brickwork and hanging foliage are a delight. 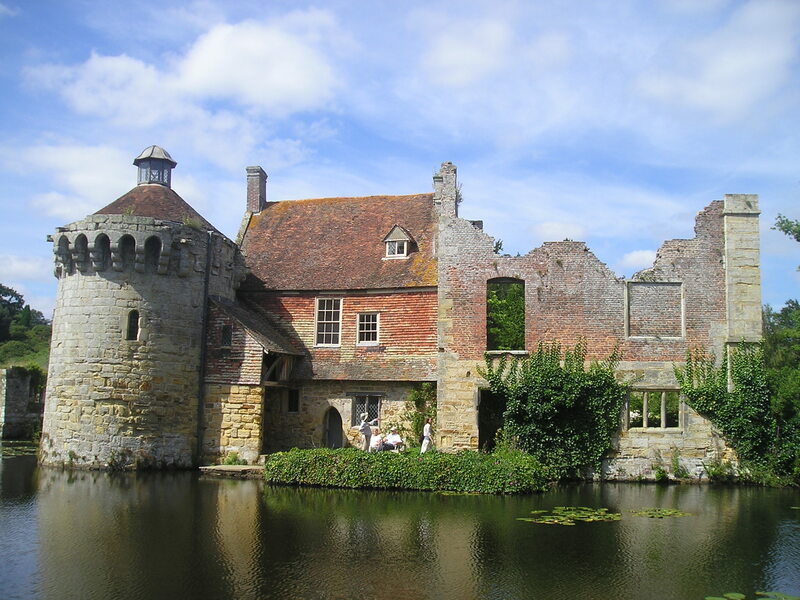 My personal favourite is achingly beautiful Scotney Old Castle, whose ruins are the very essence of the dreamy fairytale English castle. 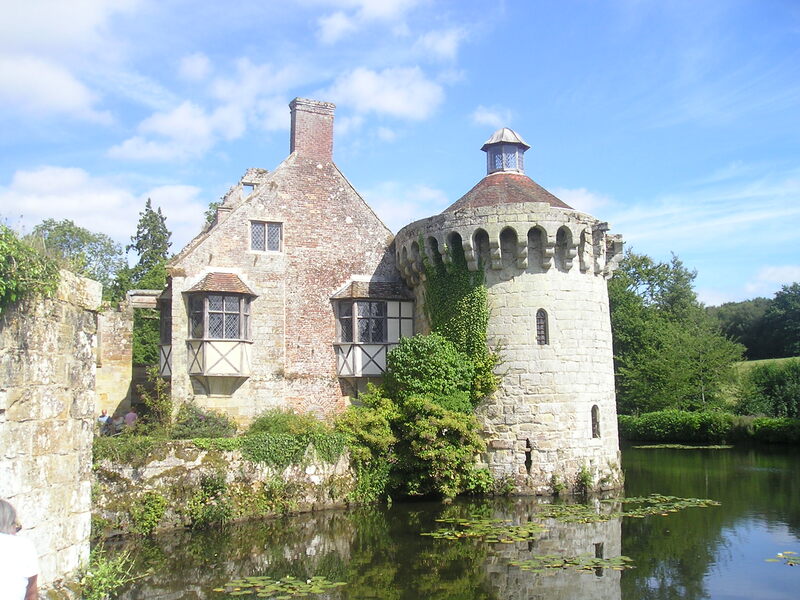 Technically, Scotney Castle is the name of the “modern” house at the top of the gardens, but it is the older, smaller version, complete with lily pad decorated moat, that entrances visitors. These are but a few of the beautiful castles and manor houses that are dotted around the Kent countryside. I am conscious that, on this occasion, I have omitted the mighty “Gateway to England” at Dover, Anne Boleyn’s home at Hever and the neighbour on the coast at Deal and Walmer. 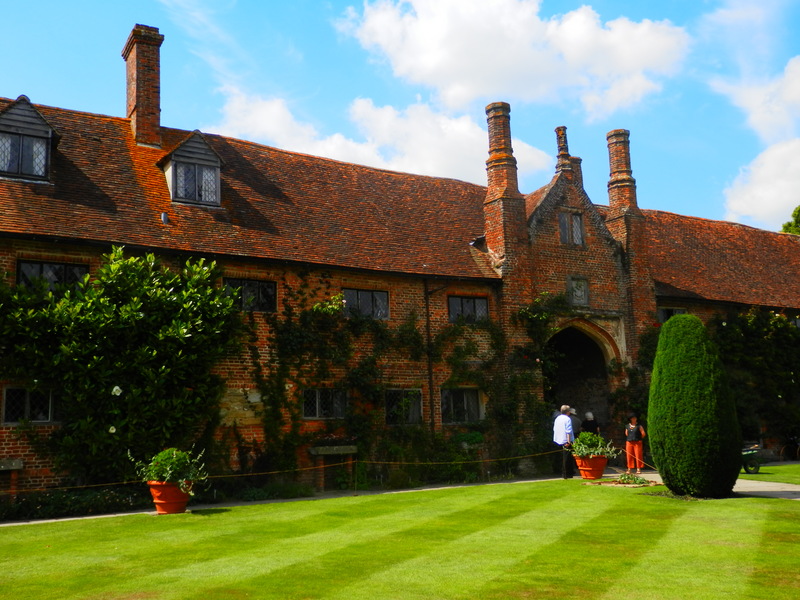 And I haven’t started on Knole, Chartwell, Groombridge Place and Ightham Mote. I can see this becoming a series in its own right. 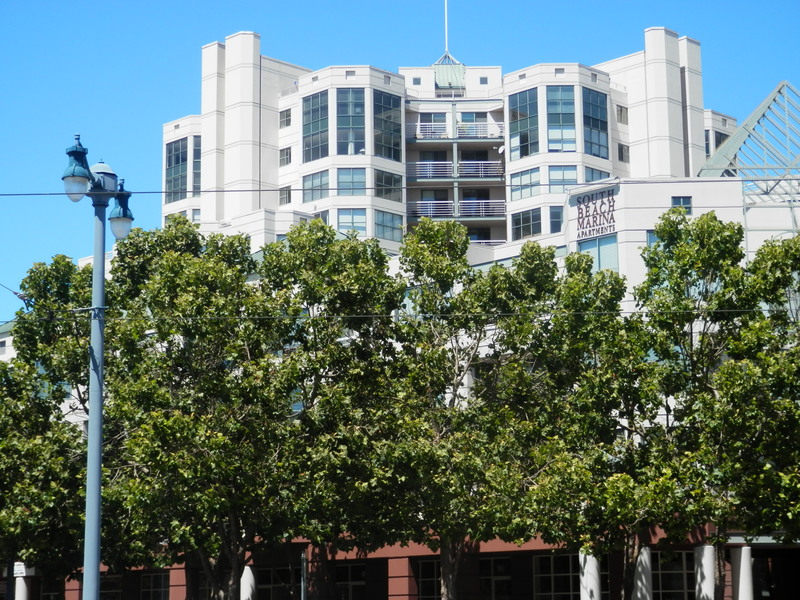 Stretching from Pier 45, home to the marvellous Musée Mecanique and historic ships, the US Jeremiah O’Brien and USS Pampanito, to AT & T Park at 2nd and King, San Francisco’s Embarcadero waterfront thoroughfare is one of the city’s crowning jewels. 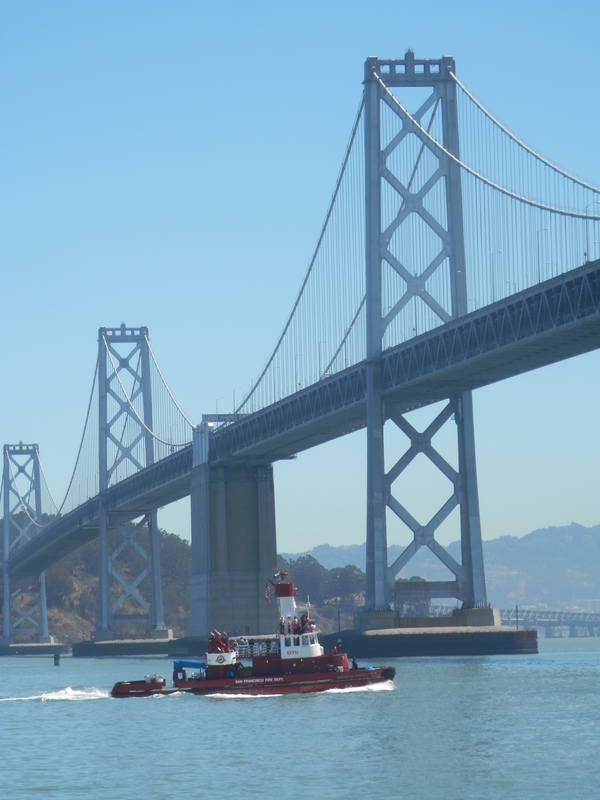 Its most prized asset is the great San Francisco – Oakland Bay Bridge, or as it is more affectionately known by locals and other supplicants, the Bay Bridge. The widest bridge in the world, and also one of the longest at more than seven miles, its two decks carry nearly a quarter of a million passengers each day. It may not command the same celebrity status as the Golden Gate Bridge shimmering on the opposite side of Alcatraz, but the views, especially from the recently reopened east span, are stunning. 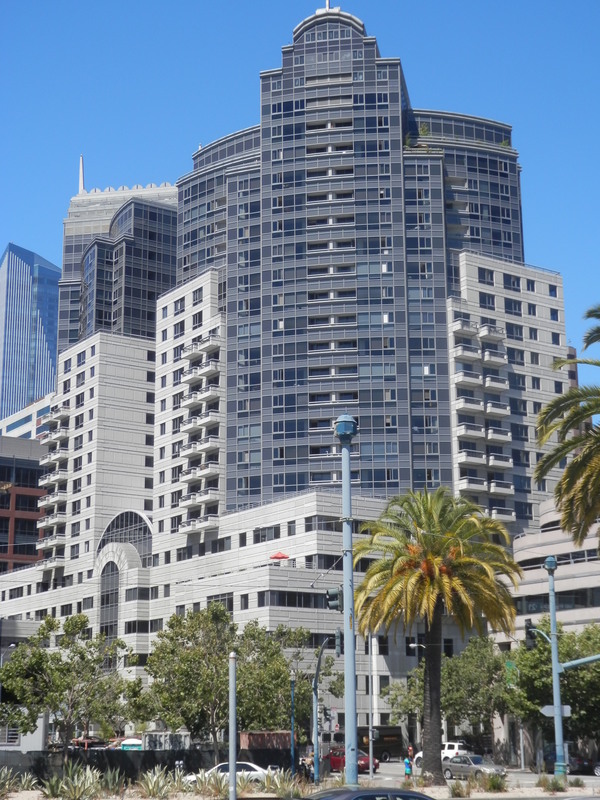 But the Embarcadero is not all about the Bay Bridge as the following photographs demonstrate. 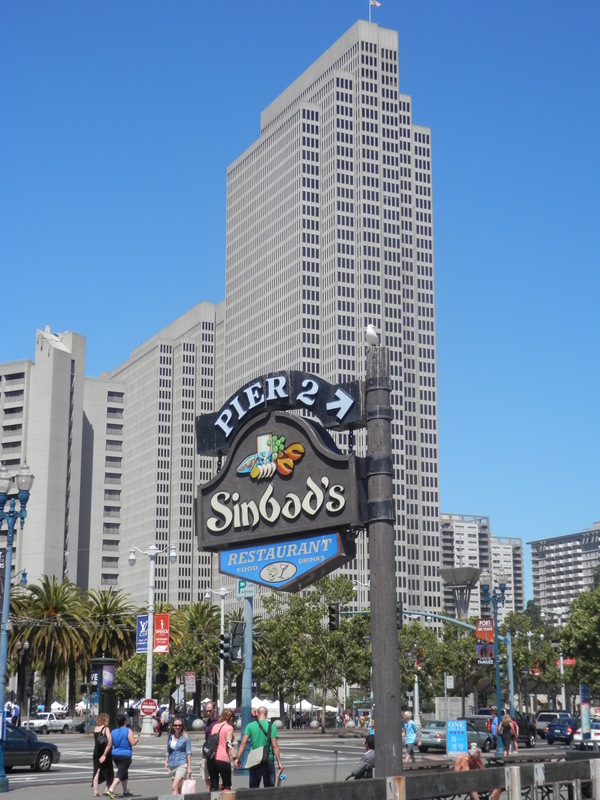 Sinbad’s at Pier 2 is a fine seafood restaurant. 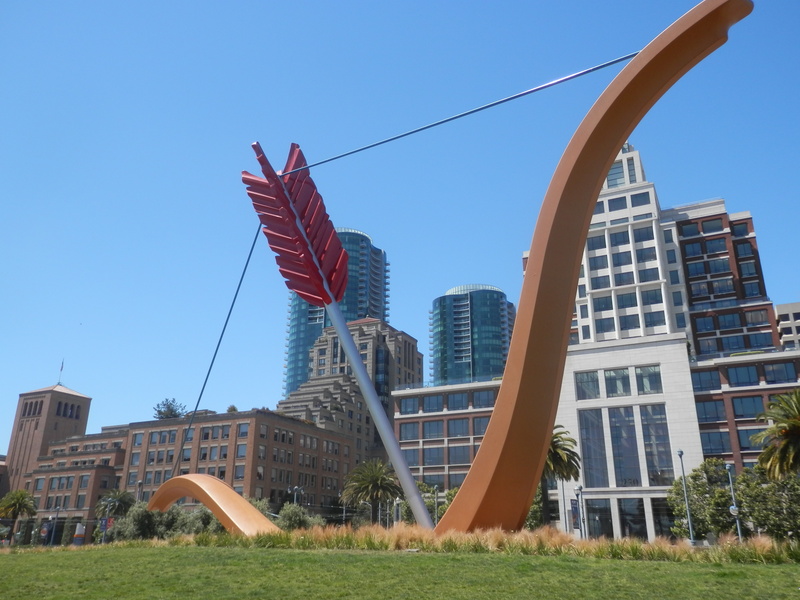 One of its more unusual features is Cupid’s Span, a quirky but imposing sculpture, in the two acre Rincon Park, a welcome spot to rest feet wearied by the unforbidding pavement along the water’s edge. 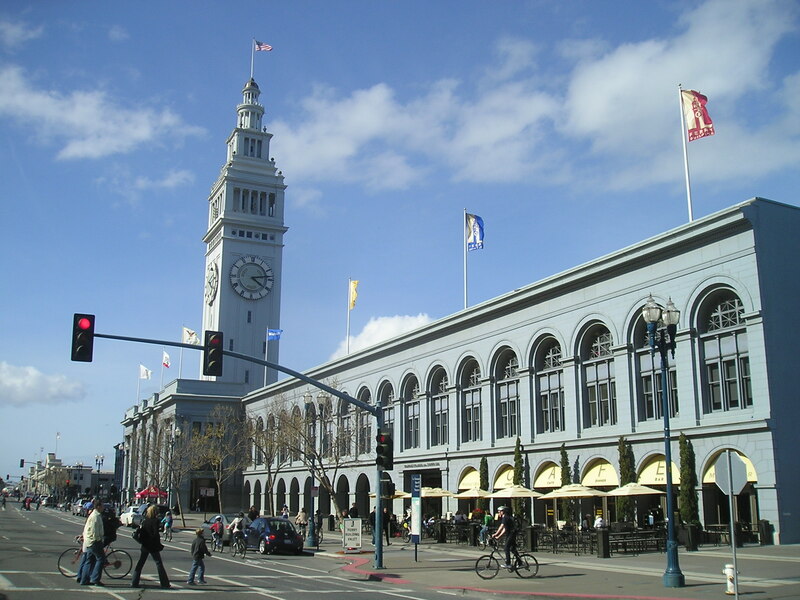 The main rival to the Bay Bridge in the affections of locals and visitors alike is the Ferry Building at the foot of Market Street. Once the City’s principal transportation hub and beautifully restored between 2003 and 2007, it is now home not only to two storeys of premium office space, but also a permanent gallery of stalls selling locally produced fresh fruit and vegetables, cheeses, wines, meats, flowers, chocolate and pastries, as well as one of a kind gift items, many related to the kitchen and garden. 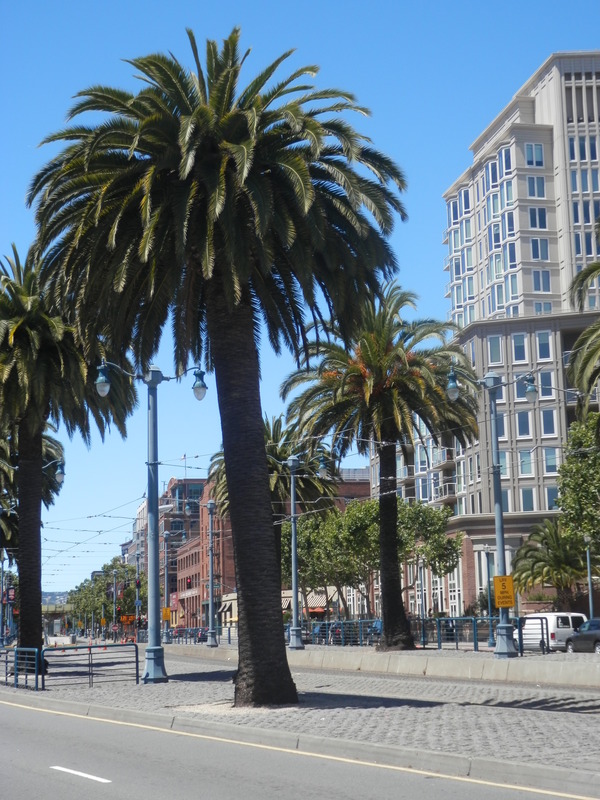 The historic streetcars trundle along the Embarcadero with their packed hoardes of tourists seeking fun at Fisherman’s Wharf, bargains at Union Square and Westfield or vintage movie going at the Castro Theatre. Apartment blocks and offices loom above the constant traffic. 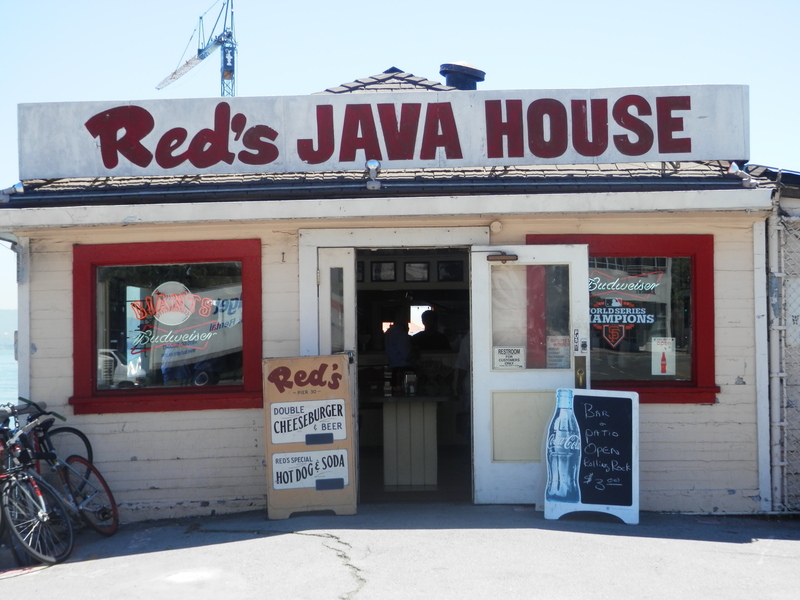 In a city renowned for the quality of its restaurants, Red’s Java House is never going to attract any Michelin stars, but it provides good honest fare for fans heading for or returning from a Giants game. It may be basic and unpretentious, but it boasts as many passionate advocates as Michael Mina at the Westin St. Francis Hotel or Quince in Pacific Heights. 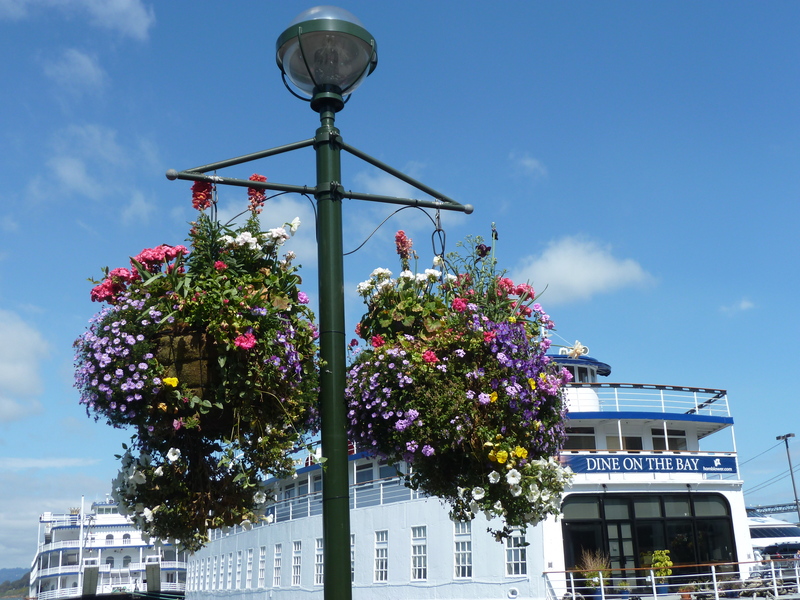 In summer, extravagantly colourful hanging baskets complement the profusion of palms along the roadside. Back to the Bay Bridge with a SFFD fire boat sailing under it. 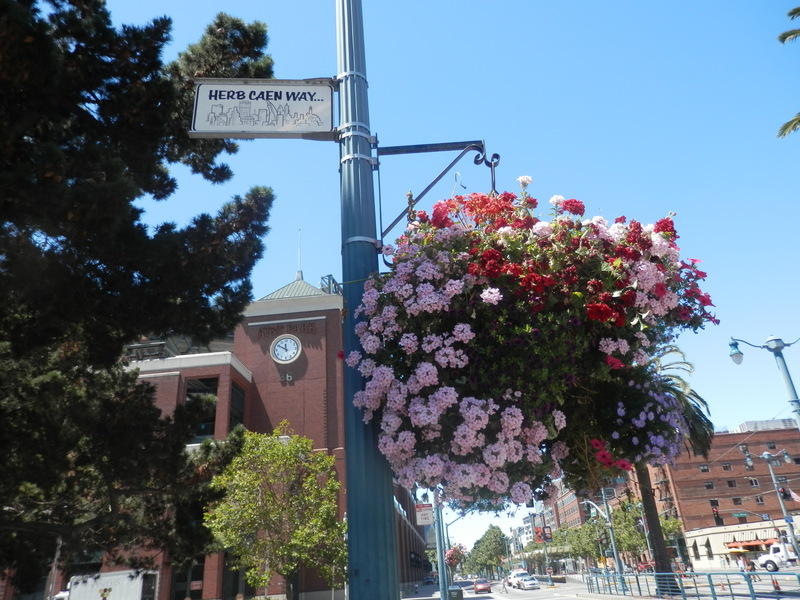 Finally we reach AT & T Park at the end of the stretch of the roadway named after legendary San Francisco Chronicle columnist, Herb Caen who wrote extensively about the Embarcadero and his beloved Giants. With the exception of a couple of years in County Cork, all my summer holidays between the ages of 10 and 18 were spent in and around the once fashionable seaside resort of Folkestone in Kent, on the southeastern coast of England, a handful of miles from the fabled White Cliffs of Dover. Although there was only one small, and invariably packed, patch of sandy beach along its lengthy seafront (most was pebble and shingle), the magnificent Rotunda amusement arcade, fringed by fairground rides, putting green and boating lake, kept this young boy and his cousins handsomely entertained for two weeks. And if, in the unlikely event we got bored, there was county cricket at the Cheriton and a testing pitch and putt golf course on the windswept cliffs overlooking the small but bustling harbour, where plates of fresh cockles and whelks were in abundant supply. Finally, there was a daily ferry service to Boulogne in Northern France, though my recollections of a youthful life on the ocean wave have more to do with leaning over the side of the boat than tucking into a full English breakfast in the café. Folkestone may not have enjoyed the cheeky, “kiss me quick” ambience of Margate or Southend, but I loved its quieter, more refined atmosphere, and have much affection for it still. My parents even spoke on occasion of retiring to the resort but, sadly, it never happened. The past forty years have seen the town, in common with many other resorts around the British coastline, decline dramatically as a holiday destination as people have taken advantage of greater leisure time and resources to travel further afield. The rotunda and surrounding attractions have been demolished, the lively, cobbled Old High Street that winds up to the modern town centre fallen into disrepair and many of the businesses dependent upon holidaymakers closed. Gone are the shops selling postcards, beach balls and buckets and spades. 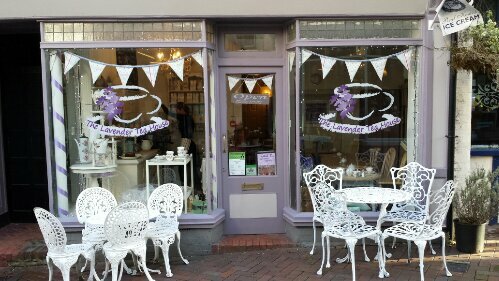 Gone are the traditional tea rooms and fish and chip restaurants. 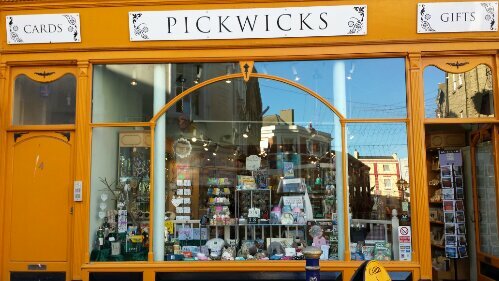 And gone is the shop with the big picture window through which children and adults alike gaped in awe at sticks of Folkestone rock being made. But there are signs that Folkestone is beginning to stir again. 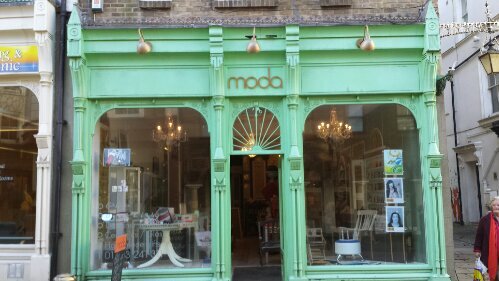 The Old High Street has undergone a makeover. One of a kind gift shops, artisanal food stores and galleries have emerged in recent years, along with a burgeoning artistic community. A handful of attractive restaurants have sprung up around town and extensive investment has been forthcoming. There may no longer be any cross-channel services, but the town’s accessibility from London and the rest of Kent has been enhanced by the arrival of a high speed rail service. 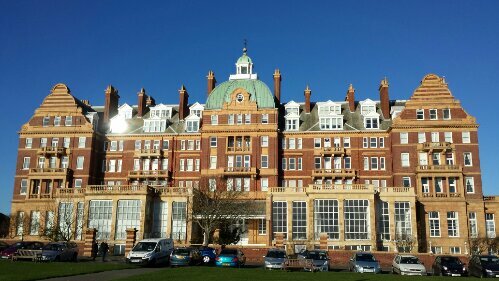 The jewel in Folkestone’s crown remains the Leas, once described as “indisputably the finest marine promenade in the world”, a wide clifftop walk with well tended flower beds and glorious views across the channel. On a clear day, you can almost pick out individual buildings on the French coast as you head towards the neighbouring resort of Sandgate. Imposing old hotels speak of the resort’s former glory, no more so than the Grand and Metropole, though some are now holiday apartments. The arrival of the Turner Contemporary, projected rebirth of Dreamland and high profile exposure on television have given Margate a disproportionate amount of attention in recent years. And that really ought to bear fruit in time. Broadstairs and Whitstable, with their attraction for more affluent Londoners, are already bucking the trend of decline. But the Guardian newspaper’s recent rating of Folkestone as one of the world’s best holiday destinations in 2014 may serve to redress the balance somewhat. 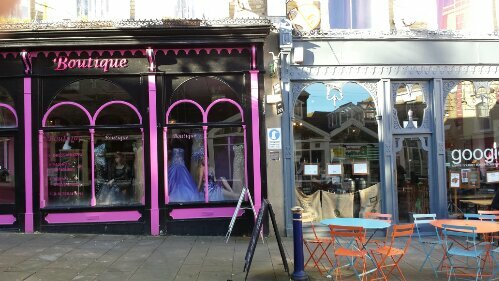 Those heady days of the past will never return, but Folkestone is showing signs that it may have a future. Now, if they could only rebuild the Rotunda and resume playing county cricket there ………….